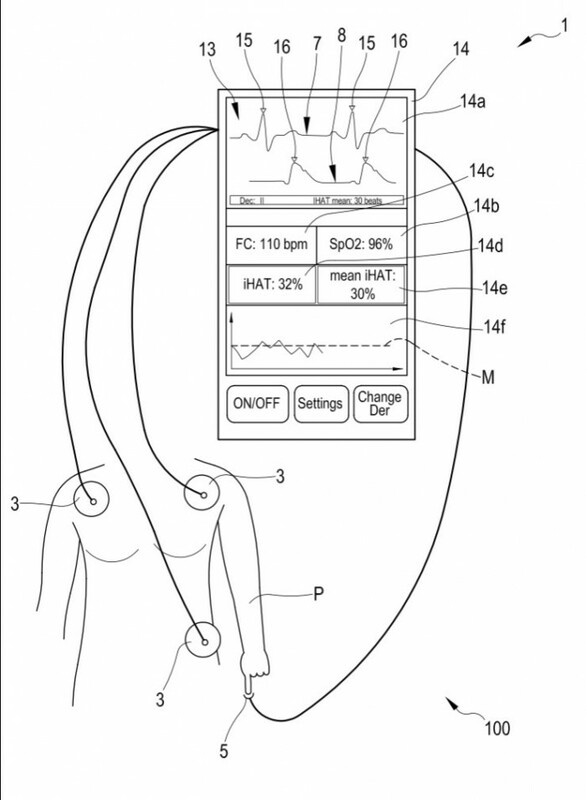 iHAT (indexed heart to arm time) is a non invasive index calculated from 2 monitoring signals: the electrocardiographic curve and the photopletysmographic curve (the pulse oxymeter wave). iHAT is the time it takes for pulse wave to travel from the heart to the peripheral arteries (ie in a finger) divided by the instantaneous herat rate (the inverse of the R-R interval). 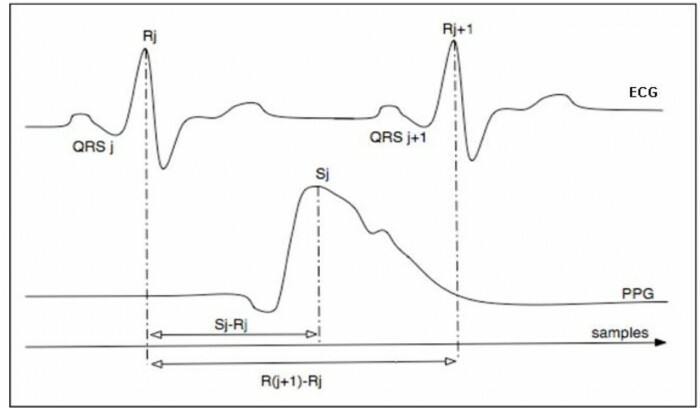 iHAT is therefore mesured from the R peak of the ecg wave to the peak of the pulse oxymeter following wave and divided by the RR interval. iHAT has been shown to be able to detect small haemorrhage (below 20% of estimated blood volume) and to track haemorrhage evolution. (A first paper on Acta Anaesthesiologica, august 2013 is being published). The invention has never been sold or marketed before. 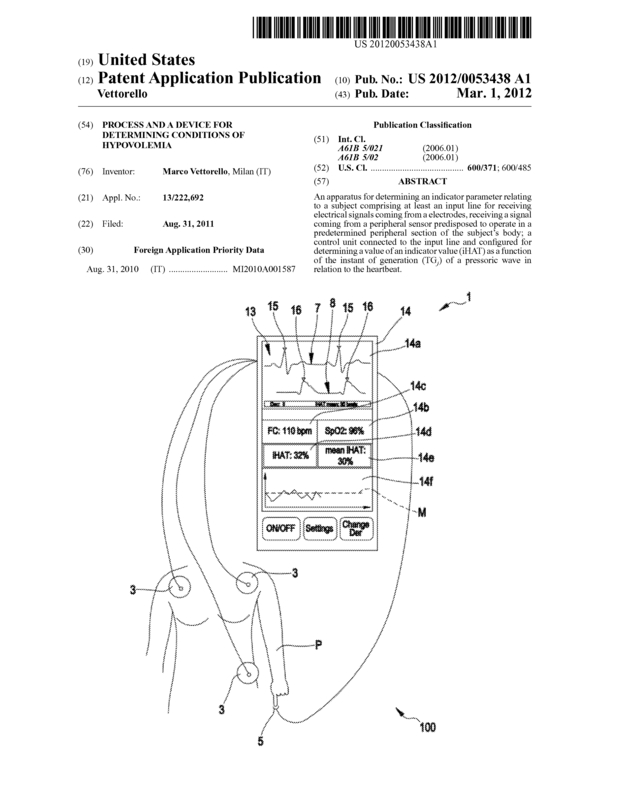 Page created at 2019-04-22 14:09:01, Patent Auction Time.